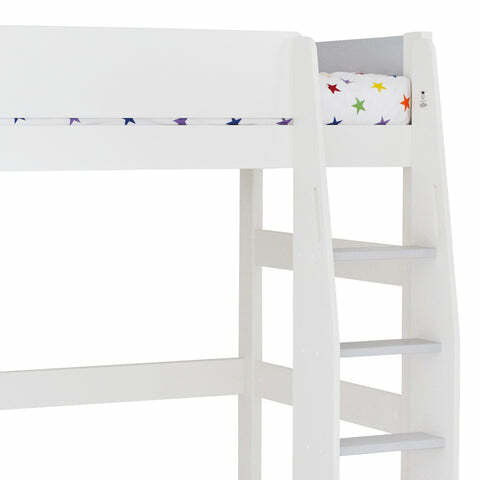 Tate High Sleeper, Ivory & Grey (Navy Star Cushions) | Great Little Trading Co. Washing instructions: Cushions: Spot Clean only due to flame resistant finish on reverse. Complies with Furniture & Furnishings (Fire) (Safety) Regulations 1988. Bedrooms aren't just about sleep as kids get older; there's homework to be tackled and sleepover to accommodate. 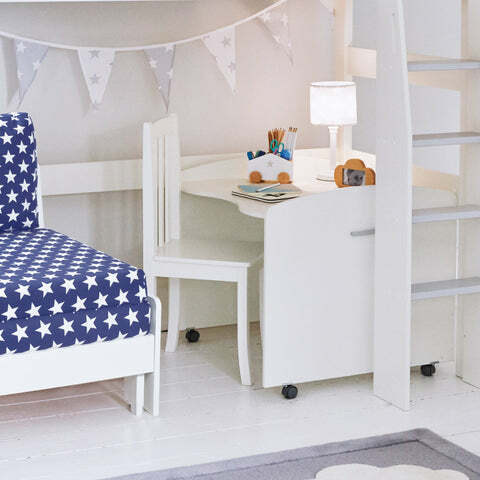 But this brilliant high sleeper bed is the answer: you can add the Roll-out Desk to use under the bed or separately, and turn the comfy chair into a spare bed at night. It has a painted Ivory finish, with panels and ladder steps in Cloud Grey; the bed also comes with a useful clip-on bedside table. 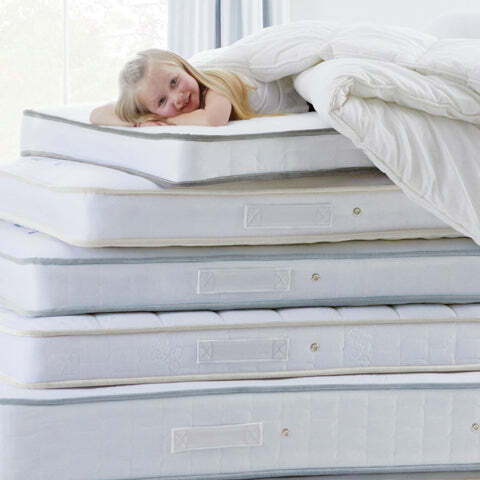 We're so confident that our beds are well made and wobble-free that we offer a Five Year Warranty on them all (apart from Toddler beds). The Tate High Sleeper and chair feature a solid pine frame with MDF panels and a pine slatted base, the cushions feature 100% cotton covers. Bed frame tested to British Standard BS EN: 747; ladder can be fixed to either end of the bed frame. Assembly service available (£100). Washing Instructions:Cushions: Spot Clean only due to flame resistant finish on reverse. Complies with Furniture & Furnishings (Fire) (Safety) Regulations 1988.